Approx total length ~ 44mm. 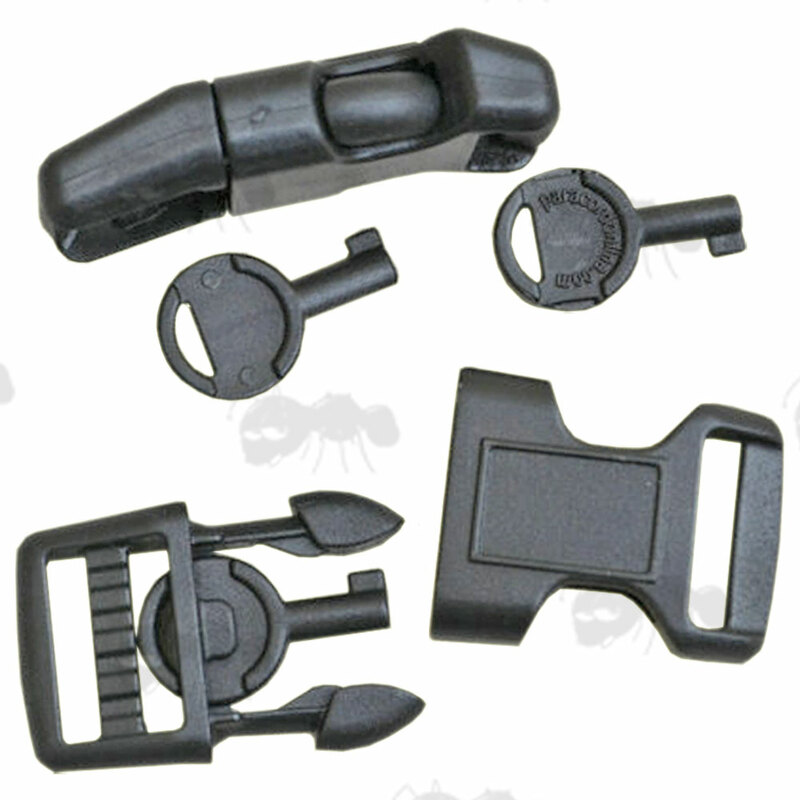 Contoured side-release webbing buckle with concealed handcuff key. survive a few uses and may not fit all handcuffs. Heavy-duty buckles work excellent for paracord bracelets and other crafts. Made for 5/8 inch (16mm) wide webbing. 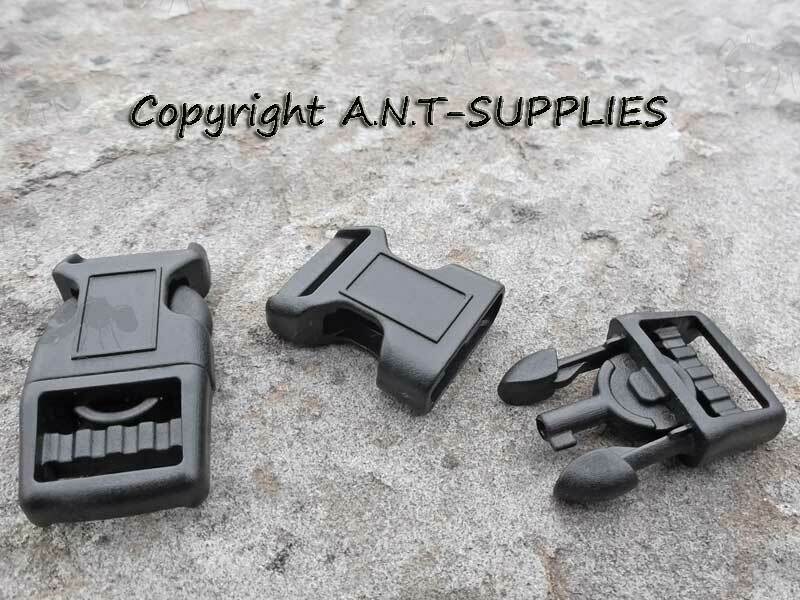 Also available ~ Fire striker buckles. I make paracord bracelets in my spare and I am always looking for novelty or unusual additions to try out. I saw these buckles and thought they might be fun expecially for younger relatives (they can by spies or secret agents!). Externally, the buckles are standard size (22mm) and look 'normal'. I'm pleased to say that they seem to have the same integrity as other buckles (the release works the usual way and it doesn't come apart until you want them to). The key sits in the buckle snuggly and can be easily removed and replaced. I only have TCH rigid handcuffs (standard police issue) and the key works well at opening them. I'm not the sort of person who loses handcuff keys but it's good to know that I can carry a spare unobtrusively in a buckle for use in an emergecy.